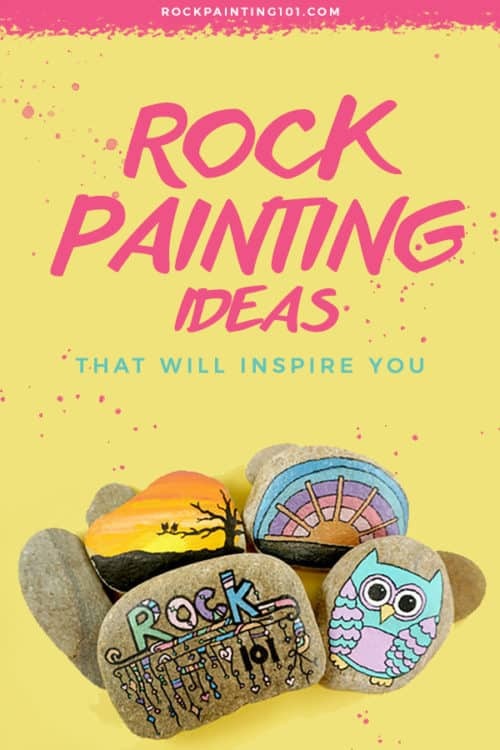 Rock Painting Ideas that will inspire you to pick up that paintbrush (or paint pen) and start creating! Don’t be intimidated by all the rocks you see online. These easy ideas are perfect for beginners! We’re here to help you create beautiful rocks that you will love! So let’s get inspired with some easy stone painting ideas! I started painting rocks with my kids. As we painted more and more, I realized that I enjoyed it just as much (if not more) than my kiddos did. When I started looking for inspiration, so much of it was so advanced that I started to feel overwhelmed. I consider myself a very creative and artistic person, so if I was overwhelmed…so were a lot of others. So I started to share my ideas in a Facebook group. Then I added a Facebook page. Now I have this little corner of the internet. I hope that you poke around and get inspired to create. Even the beginner can make beautifully painted rocks. You just need a few more tips! Spring is one of my favorite seasons. I love the flowers popping up, nature coming back to life, and the Easter holiday. When it comes to spring rocks, you’ll find a lot of flowers, butterflies, pastel colors, and plenty of happiness. 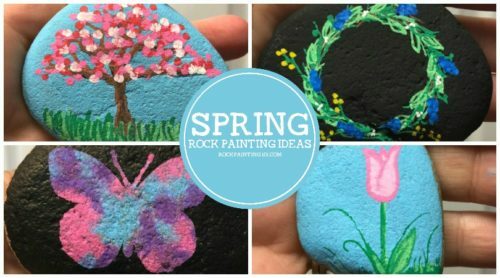 Bring in the newness of spring with these fun stone painting ideas. 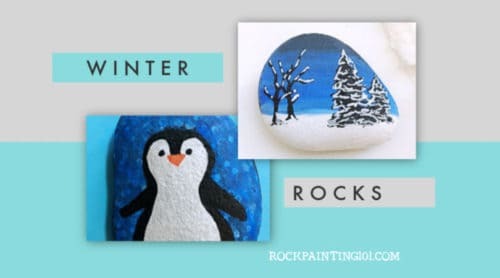 Winter rock painting is perfect for capturing all the snow wonder of this cold and beautiful season. Learn how to paint snowflakes and wintery landscapes! Fall is my favorite season. Pumpkins, apples, and acorns. Plus Halloween and Thanksgiving!! Check out all the fun we’re having painting fall rocks. Bring on the summer themed rocks. Summertime is when the rock hunting trend really takes off. Kids are home from school and ready to do something creative and outdoors. 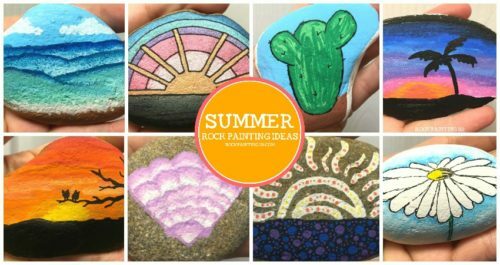 If you’re ready to enjoy some sunshine, bright colors, and water fun, then you’ll love this collection of summer rock painting ideas! 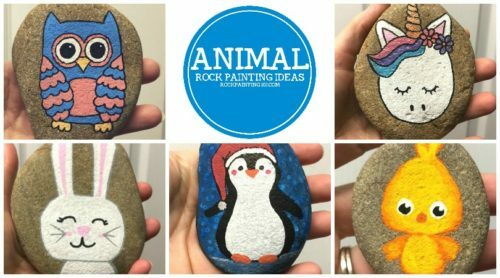 These adorable animal rocks are much easier than they look! The videos will walk you through how to paint each animal with simple tips along the way. 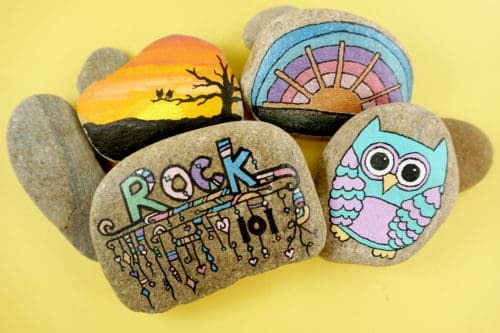 These rock painting ideas are some of our most popular! Looking for something a bit more magical? 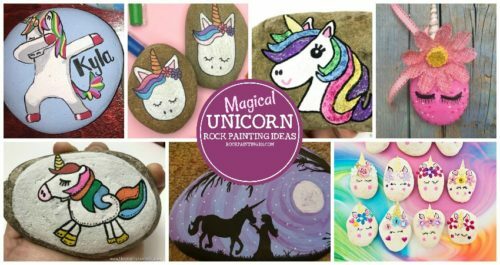 Check out these amazing unicorn painted rocks. 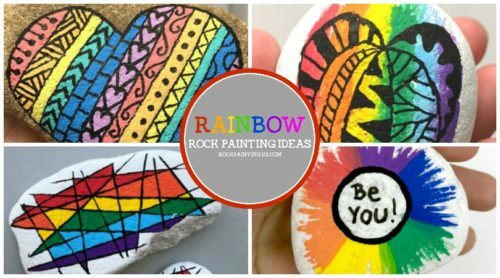 Add the colors of the rainbow to your painted rocks. Rainbows make amazing backgrounds, give your kindness rocks a pop, and always make people smile. These tutorials will help you master painting rainbows onto your rocks. We love painting flower rocks. From realistic blooming trees (that are super simple to create) to happy smiling flowers, there is a tutorial here for every beginner! 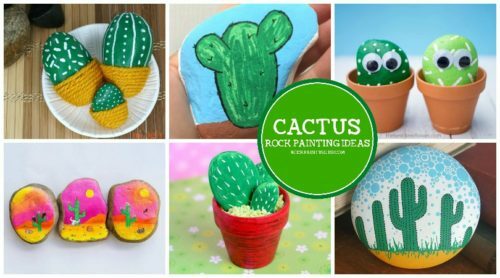 This collection of cactus rocks is perfect for beginners. From potted rock cacti to amazing abstract ideas. You’ll find some inspiration for your next stone painting project. We LOVE heart rocks! And they can be for more than just Valentine’s day. 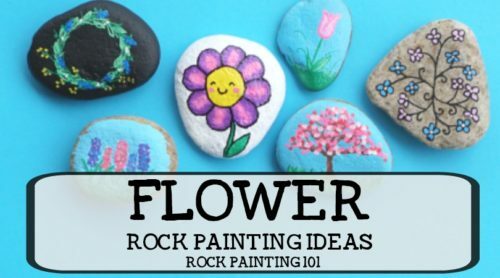 These rock painting ideas will put a smile on someone’s face any day of the year! Zendangles are perfect for beginners. They are fun to create and there is really no wrong way to paint them! Get inspired with this collection of dangle rocks! From adorable bunnies to colorful eggs. 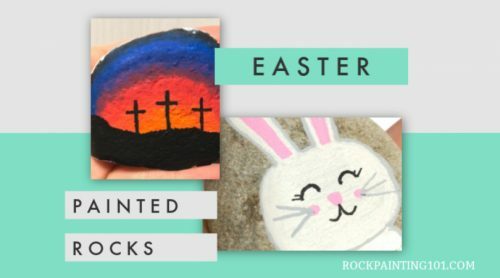 This collection of Easter Rock painting ideas perfect for an Easter rock hunt. Monsters, witches, candy trick-or-treaters, and loads more! 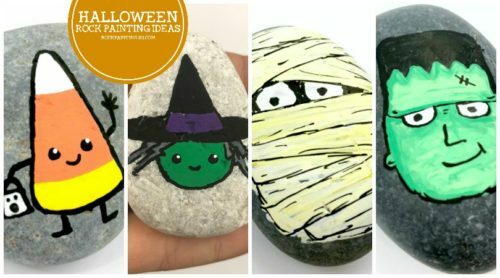 Check out these fun Halloween rock painting ideas! There is so much to be thankful for this year! 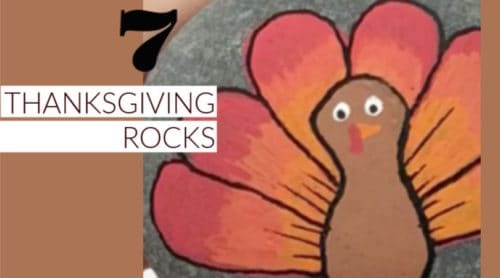 Get inspired by these Thanksgiving rock painting ideas! Christmas is one of our favorite holidays. And there are so many fun reasons to paint rocks. 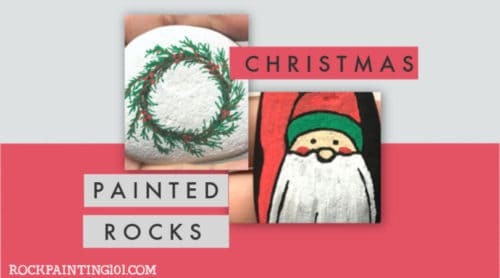 This collection of Christmas painted rocks will inspire you to create the perfect rock this holiday season! Mandala’s have you intimidated? Is that straight line making you frustrated? Check out these fun and easy tutorials! 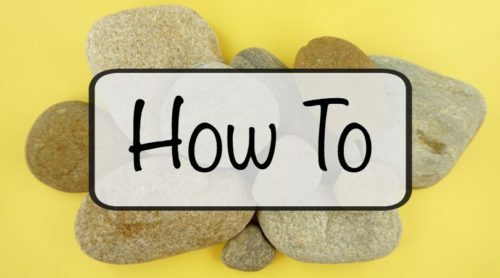 There are lots of rock painting questions out there. I answer the 5 that get asked the most by newbies in this guide. 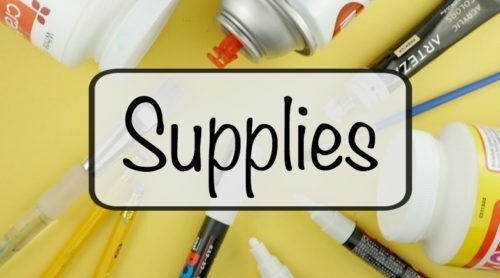 There are loads of amazing rock painting supplies. Which paints are my favorite? Where do you find the cheapest rocks? Check out all of my recommendations here! If you’re like me, you like to show off your rock painting pride. 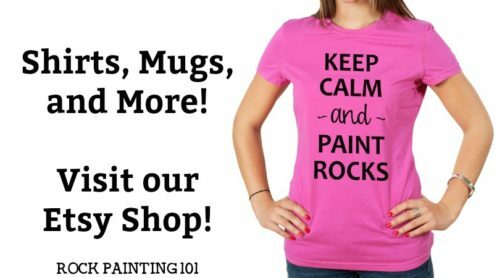 Grab shirts and mugs, designed by Rock Painting 101, in our shop! Thanks for stopping by Rock Painting 101! 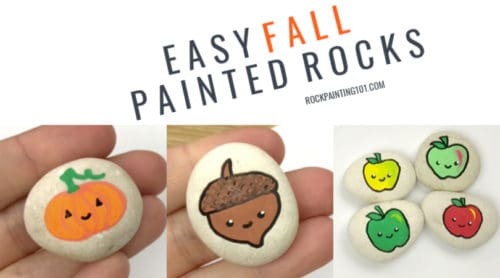 If you still haven’t found that perfect rock painting idea, check out my favorite! 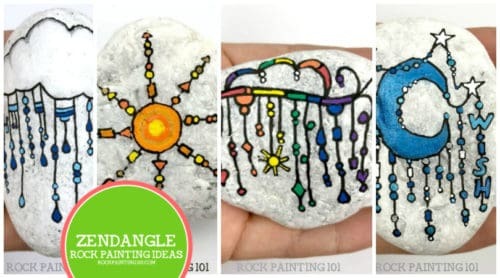 If you are painting with children, you’ll love these rock painting ideas for kids! 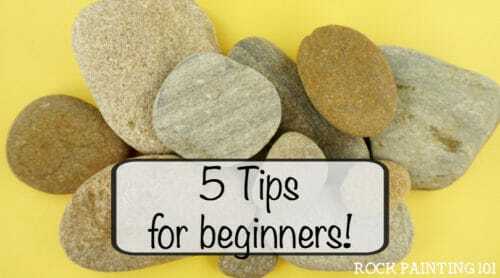 Or take a few minutes and read a bit more about me and what Rock Painting 101 is all about! 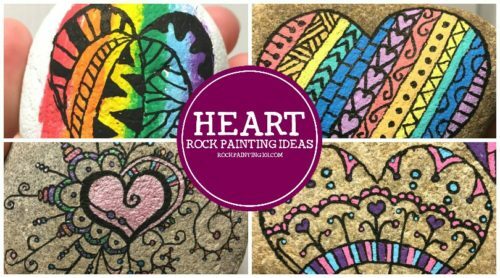 If these rock painting ideas have inspired you, please pin them to your favorite Pinterest board!